Centerfold film has become a part of everyday life. 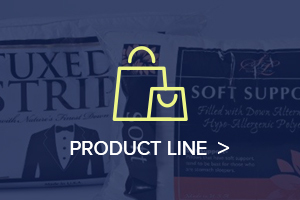 While poly tubing and bags are best suited for certain shapes and sizes, centerfold film is the go-to choice for those larger or odd shaped products. Centerfold films are a very popular form of packaging used to seal up food, electronics, and various other products. The film is a plastic sheet that is folded in half and, when closed, creates a C. It comes in a variety of thicknesses, widths, and lengths. In fact, a roll of film can range anywhere from a few dozen feet to a few thousand feet in length. Using centerfold film is easy, you simply select the right dimensions, insert the item you are wrapping, then seal it up. It’s a very convenient way of packaging because centerfold films are easy to use with the common L-bar and I-bar sealers. Protected products: The centerfold films can help keep multiple items secured together, resist scratching from other objects, and stay steadfast during shipping and handling. Even natural tampering from dust, moisture, and bugs is prevented. 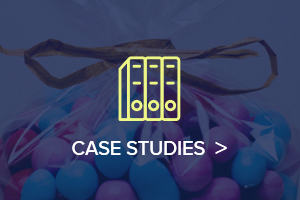 Professional look: Customers will always appreciate the brand-new look given by a centerfold film-wrapped product, and they can rest easy knowing your product is tamper proof. Efficient use of space: Centerfold films can take up half the space during storage and handling since it can open up to the desired width while only taking up half the size on the roll. Not only does this better utilize storage space, but it makes it easier to handle and use. Branding: Putting your name out there is easier than ever with custom-made centerfold film rolls made just for your company. We put your branding and product message directly on your centerfold films to maximize your branding exposure. The use of centerfold films has not only become commonplace but even required in many cases. Everything from packaging food to storing and packing the newest smartphones is made safer with the use of our centerfold films. 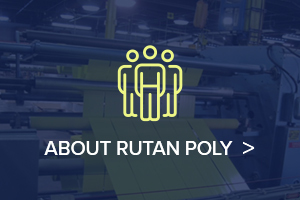 For more than half of a century, Rutan Poly has been creating custom centerfold films for countless applications. 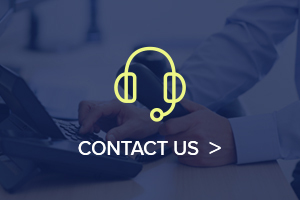 We have gained a solid reputation for being a reliable manufacturer and supplier of high-quality films, and we want to partner with you for all of your packaging needs! If you are looking for a no-nonsense American supplier of custom centerfold film, look no further than Rutan Poly!